Cleanse and scent in one step with the Eau de Lacoste Sensuelle Shower Gel, a bubbling formula for refreshed skin. 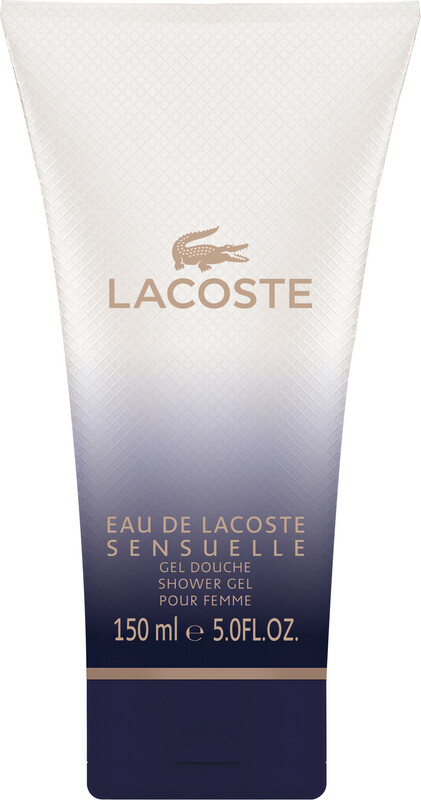 Designed to provide the perfect fragranced base for your Eau de Lacoste Sensuelle Eau de Toilette, this deliciously textured shower gel pampers the skin and delights the senses. After use, skin feels comfortable, clean and soft, and is scented with the playful aroma of blackcurrant, Turkish rose and nougatine. To use, lather up on wet skin and then rinse away thoroughly. Follow with the Eau de Lacoste Sensuelle Body Lotion and the matching Eau de Toilette for long lasting fragrance.